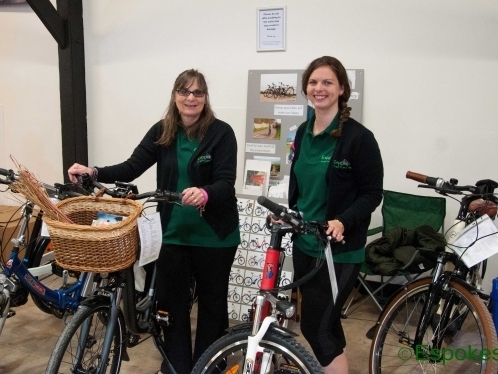 Espokes electric bikes are an independent, family run, specialist electric bike retailer based in Hampshire & Somerset. We cover the surrounding area in the South of England as well as shipping ebikes across the whole of the UK. We are the only Bosch accredited ebike experts in Basingstoke and Wincanton and we pride ourselves on our customer service and, matching our customers to their perfect ebike. Contact us or call us on 01256 353465 or 07771 927354 for more information or to book a test ride. Unique in the market, this bike is specially designed for female riders. Each bike has around 200 spots, all individually placed onto the frame by hand, therefore no two bikes are quite the same. Really comfortable riding position. This bike's look breaks the trend of traditional electric bikes making it exceedingly unique. 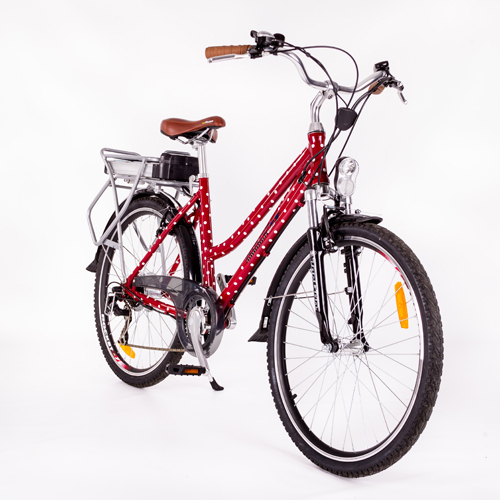 The short stem and straight handlebars make the handling pleasant and easy to control in urban environments.